The teaser trailer of the next Star Wars movie - Episode VII: The Force Awakens, is already out and from what I have seen, it really looks wonderful and amazing especially with the last scene wherein the Millennium Falcon is on a maneuvering position. J.J. Abrams, the director of Star Wars Episode VII, makes me hunger and desire for more of the new film. As a fan of Star Wars,the December 2015 release date of Episode VII, one year from now to be exact, will render me sleepless for countless nights. 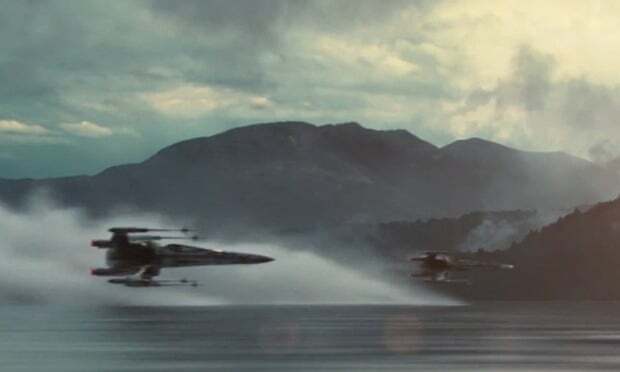 Tinkering my thoughts as to what happened to the stormtrooper without his helmet at the start of the trailer, to the X-Wing fighters of the Rebel Alliance hovering over a lake, to the spacecraft owned by Hans Solo doing a 360 turn, and of course, that very formidable and very awesome lightsaber, wow! The first spin-off trailer are all made out of Lego materials and looking at it reminds me of the recent blockbuster Lego movie. Great, isn't it? The next trailer is a George Lucas' Special Edition Trailer done with more familiar characters from the Star Wars movies. The next parody is a what-if version. What if Wes Anderson, the director of Moonrise Kingdom directed Star Wars. He is known for using unique and distinctive visuals and the soundtracks for his movies are mostly pop music from the 60s or 70s. Next is the Star Wars: Episode VII - The Force Awakens Trailer - Spaceballs Version. It uses scenes from Mel Brooks popular spin-off comedy movie in 1987, Spaceballs. This last trailer contains scenes from the Star Wars Episode One: The Phantom Menace but the audio/sound is based on the new trailer. I know there will be more spin-offs/parodies to the new Star Wars trailer, but all the same, they are made to make us more hungry to see the movie. Happy and glad that you liked it!